My experience of tragedy, trials, and triumphs! If you're new here start by reading the "My name is Julie" post first!!! It has been two years since my story has been circulating around. My story was originally written in November of 2012, so a lot has happened in our family. I thought I would post an update of how we are all doing. Curtis and I are doing really well in our marriage. I am so glad that we pushed through every time we came upon new challenges. Our love has grown stronger through each challenge that has tried to break us apart. When things were very difficult and I was considering divorce I had a profound realization. I was struggling because our life was so hard. I wanted it to be easy. I remember realizing that if I were to divorce Curtis that wouldn’t make my life easier. It would still be hard, for different reasons. I decided that I needed to stop looking for my life to be easy. When Jake died my easy card was taken from the table, and it will never be put back. My life will always be hard. It will be hard to be in a blended family or hard to be a single parent. I would have to pick the hard, that would bring me the most happiness. For me, staying married to Curtis would have the best chance of bringing me the most happiness. Once I stopped looking for life to be easy, I was able to start finding joy in my life. I will always be grateful for that lesson. We make sure to have weekly dates at least once, and try for more. Curtis and I have found things we both like doing and make an effort to spend quality time together everyday. We take weekend getaways at least once a year, but try for 2 or 3 a year. We have taken a few really nice trips together over the years as well. One benefit of a second marriage is the obvious need to spend time away from the kids. When you get married with 8 boys under 8 it is essential to get away from them and be a couple in love, not just mom and dad all the time. I am truly happy in my marriage now. We have found ways to make each other the priority and really stay connected to each other. We will always need to work hard on our relationship and keep our love alive. Curtis makes me very happy and he claims to be very happy too. I am grateful for Curtis’ ability to allow me to continue to love and grieve Jake. It is a blessing in my life. He feels strongly that it isn’t a competition between himself and Jake. He knows the importance for the kids and I to always be able to have him in our life. We have learned to keep a balance between the two worlds. I love that I can love them both so completely. Curtis is a great example of grieving with those that grieve. Curtis has a new job that he has been with for over a year now. It is an investment firm in Salt Lake City and he really loves it. It has been great to have that stress relieved for both of us. It has great benefits that have helped with all the medical issues we deal with. The kids are all doing very well. We have had ups and downs with Curtis’ boys, but have worked through those issues over the years and we have a great relationship with all of them. The kids are all so excited to see their brothers and anxiously await the weekends we get to have them. Curtis’ oldest Dakkon is currently living with us and working on his mission papers. Ethan is in an accelerated High School program and is doing well. He is on track to graduate with his associates degree next year. He is involved in the local High School’s sports as well. Kalten is a freshman in High School and is looking forward to starting the same program Ethan is in. They are very smart kids and have bright futures. We are very proud of all of them. Oliver is the youngest and is in 5th grade now. He is treated like a celebrity when he comes over. He is the favorite among my kids and just a real sweet kid. Everyone loves to be around him. Little Sis, is 4 years old now. She is sweet and kind and so adorable. We all love her so much. She brings joy to everyone in the family. Her power over her daddy melts my heart. I love seeing Curtis completely softened by her love. It has been more than I could have hoped for to have a daughter. I am thankful I had to wait so long for her. It has made having a girl more precious, with the perspective that waiting gave me. She is a smart little girl and loves gymnastics and dance. She is a princess, but is sweet too. I love the mommy daughter time I get with her. Cameron is doing really well right now. 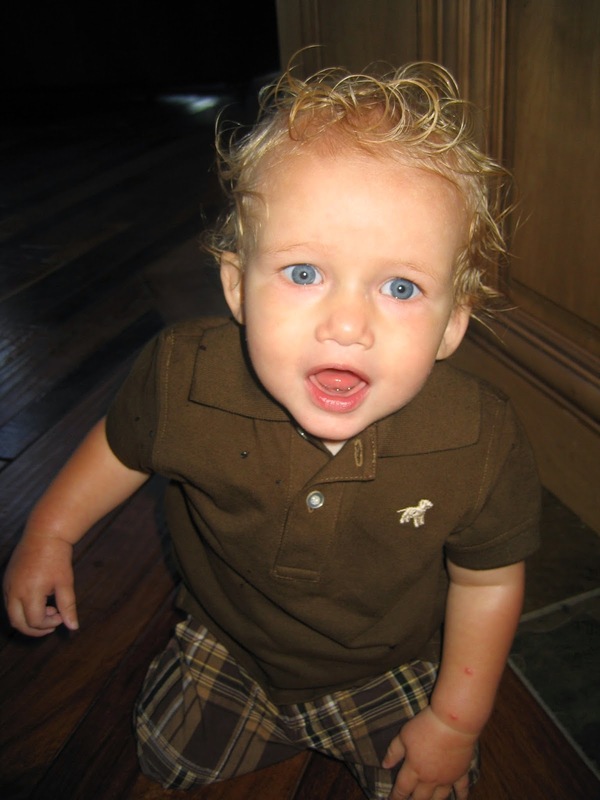 Over the years we have learned more about his Syndromes and health problems that have come up. He was recently diagnosed with Ehler’s Danlos Syndrome in addition to his other issues. This is what has caused his main heart problem. We continue to follow his heart and kidney very closely. We are watching for signs of seizures as well. PVNH patients usually start seizure activity between the ages of 10 and 20 years old. He will always be at high risk, but we are so grateful he hasn’t had any seizures yet. 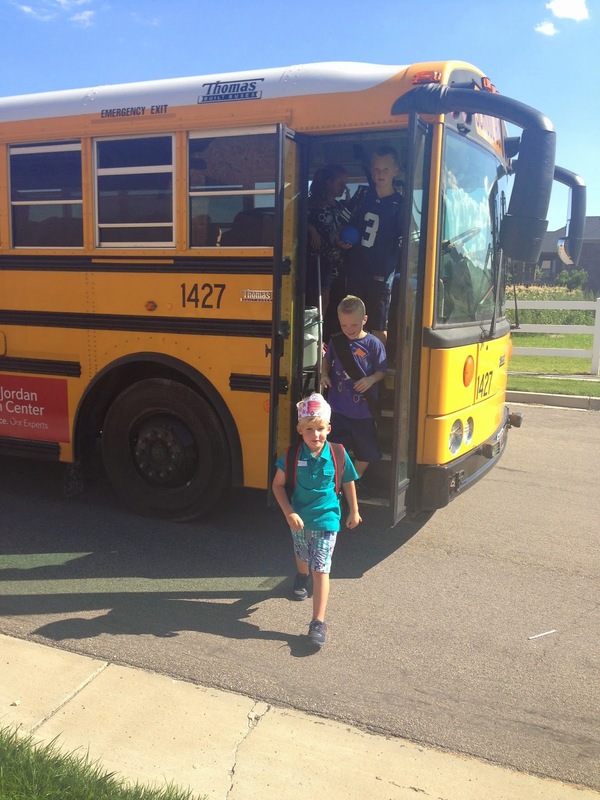 He is in first grade now and is doing better than we expected. He is able to tolerate a full day which is really great. He is in a main stream school, but is supported by an IEP and is considered self-contained in the resource program. His teachers adore him! We take it a day at a time with him, and I am just thrilled with any progress he makes. His strength and perseverance is above anyone I know. He still fills my soul. Jacob has been a joy to watch grow. He is in 5th grade and really loves school. He is more like Jake than any of my other boys. Jacob never had a day on this earth with his dad, but seriously is just like him. He thinks like him and has the same personality traits. He is sweet and loving all the time. He is always happy and smiling. When he was younger he served as therapy for my mom and several of my sister’s. If you are having a bad day you just need to spend a little time with Jacob and he will make everything seem better. He is a hard worker just like Jake was. He watches people work and loves to learn. He helps me cook all the time and is always 3 steps ahead of me. My dad often has him come do projects at the cabin with him. Over the years he has fixed sprinkling systems, laid tile, built rustic coat racks and log headboards, he puts furniture together, and will help with anything that is going on. Jordy is doing pretty good. Challenges come up with school and in the neighborhood regularly but we deal with each issue as it comes. He has friends in the neighborhood that watch out for him and are very protective of him. This last summer he had a traumatic accident. He had several deep wounds and needed stitches in several places. One of the wounds became infected and had to be drained. We were in the Emergency Room 5 days in a row for the infection. He had panic attacks every time we went in. I found an intense trauma therapy program that he went through to hopefully help prevent post traumatic stress disorder. He is in 7th grade now and we are learning to navigate the secondary education system now. It is tough, but I continue to advocate for him and hope to help him succeed as best he can. He has a great sense of humor and makes everyone laugh constantly. He is a lot of fun to be around. Josh is a sophomore in High School. 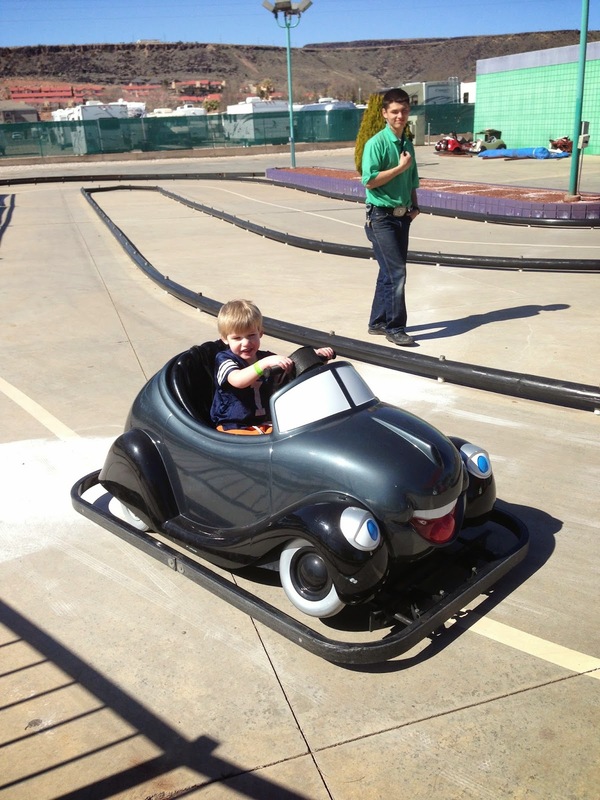 He is looking forward to driving and dating. He loves to read and is really into politics. His goal is to be the President of the United States and has been since 5th grade. I don’t know if that will happen, but I am confident that if anyone is capable of changing the world it is him. He has a passion for politics and has a deep sense of patriotism. I am very proud of him and love watching him grow. He has been trying to discuss politics with his friends since 6th grade. It wasn’t very popular in that setting, but now that he is in high school more of his friends are seeing the importance of it and often come ask him questions. He still struggles the most with the grief of losing Jake. He has a tender heart and remains slightly wounded from the loss. His experience has given him a profound sense of empathy for others during trials in their life. Jaxon is 18 years old now. 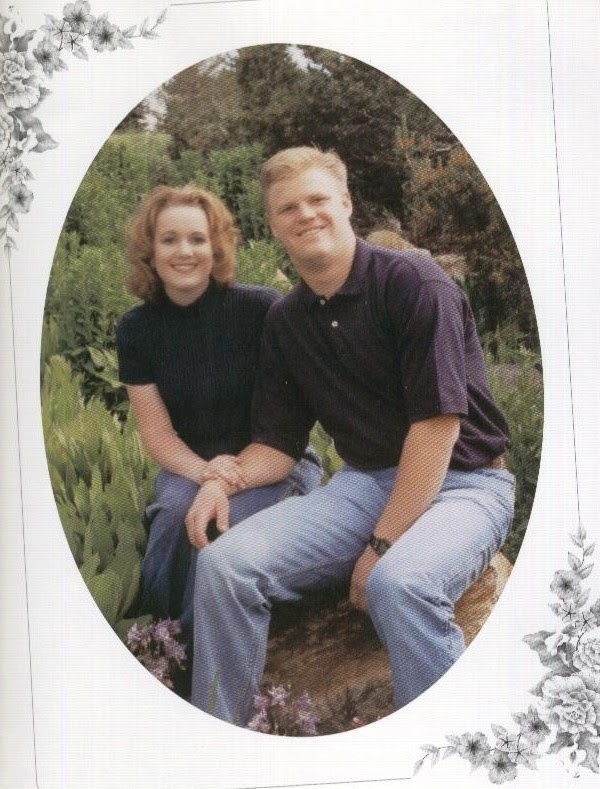 He graduated with honors and was accepted to Brigham Young University. He has earned scholarships to help with his schooling. 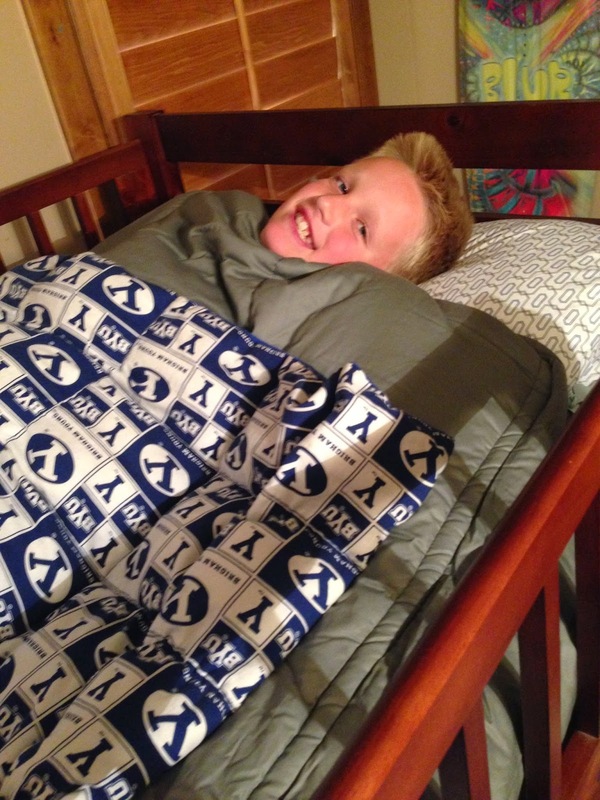 Jax had a strong desire to put school off for two years to serve a mission for our church. He put his mission papers in this spring and awaited his call. We expected to receive his call around the beginning of May. A few things put it off and it ended up coming later. We waited all week expecting it on Wednesday the 20th of May. It didn’t come. 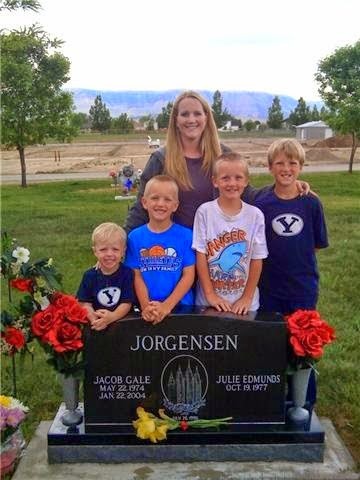 On Friday May 22, 2015 Jake’s birthday his mission call arrived in the mail. It was so sweet to have it arrive on Jake’s birthday and we all knew it was a way for Jake to remind all of us that he is in the details of our lives and continues to watch over us. He was called to the Ukraine Dnepropetrovsk Mission speaking the Russian language for The Church of Jesus Christ of Latter-day Saints. He would leave on August 26, 2015 and will be serving for 24 months. The last year I have really been dreading his mission. I knew it was something he wanted to do, and that it was the right thing for him to do, but I couldn’t convince my heart of that. I really didn’t think I could survive having him leave. He has been my biggest help these last 11 years. I rely on him for help in every area of my life. He is one of my best friends and has helped me through the darkest times in my life. I never really wanted him to have that responsibility, but he took it on and has been a great support. I really worried about having post traumatic stress with him leaving, and that it would feel like losing Jake all over again. I knew my heart couldn’t take another loss. The weeks leading up to him leaving I felt a quiet strength. I wasn’t losing it like I thought I would. I felt excited for him and was really enjoying getting him ready. He asked a couple times, “Are you going to cry yet?”. I was doing really well. We got him ready to leave the last week in August. The day came for him to go. We had him say his goodbyes to all the family over the last few days. 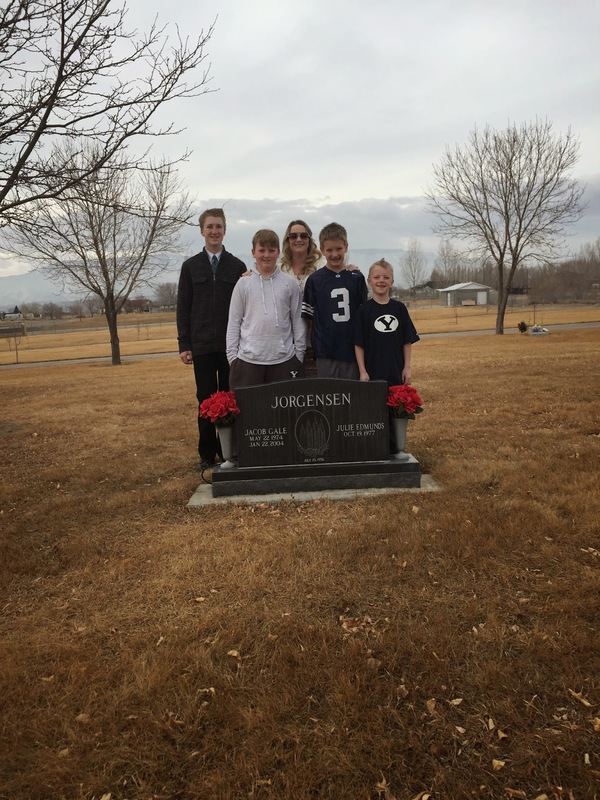 The family went to breakfast and then we drove Jax and his luggage to The Mission Training Center in Provo, Utah. 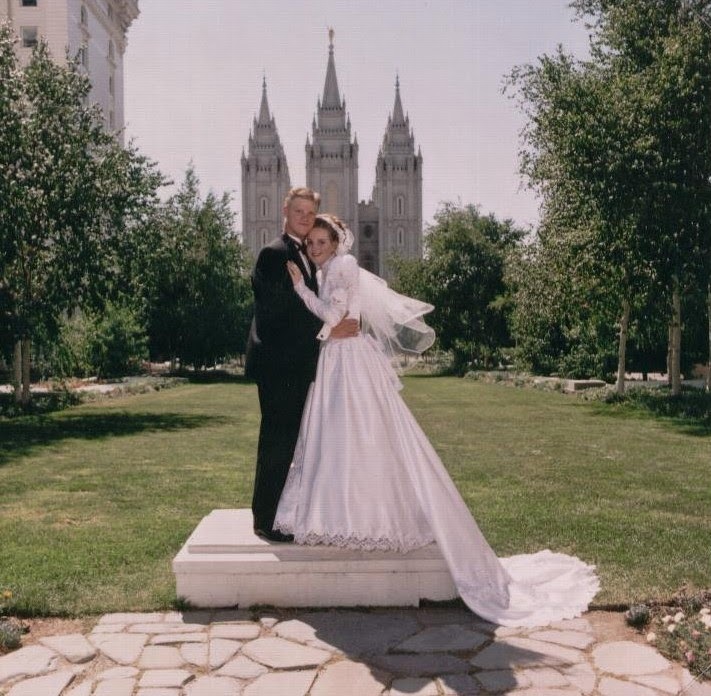 We stopped by the temple for some last pictures and then pulled up to the curb at the MTC. We all got out and a young Elder came and helped him with his bags. We said our final goodbye and he started walking away. I made him promise to turn back and wave. He did, twice. We were all teary in the car ride home and the car was very quiet. Some of the kids struggled more than others. Sending Jax on this mission has taught me yet another lesson in trials, perspective, and life. I wasn’t losing it with Jax being gone. In fact I felt so much peace and happiness with his choice to serve the Lord and the people of Ukraine. I realized that one of the positive things my trials have brought is my perspective of loss. 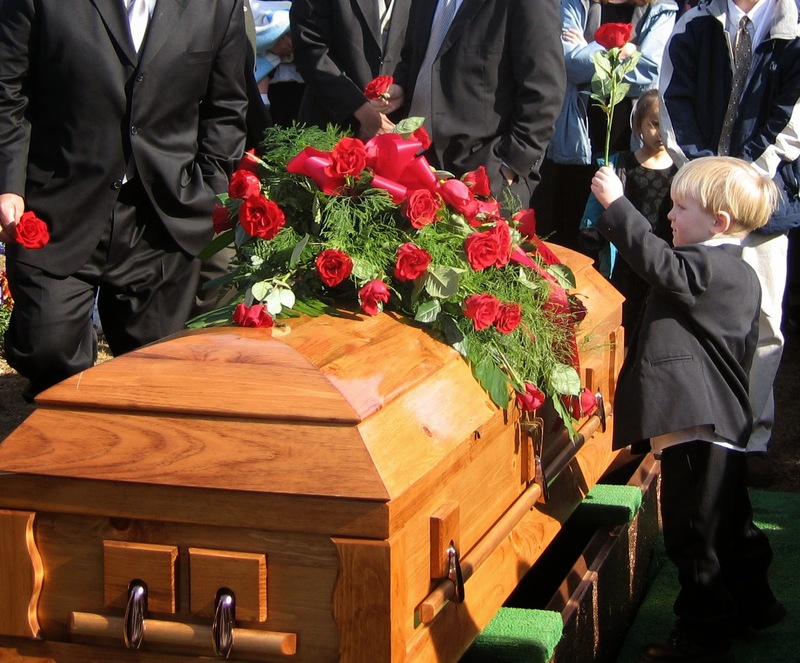 I know what it feels like to attend your husband’s funeral and deal with his loss everyday. I buried Jake 12 years ago and have wished for one more embrace and one more ‘I love you’ everyday since. I don’t get emails every Monday from heaven. Jax is alive, happy and doing exactly what he wants. He is having an adventure and learning opportunity of a lifetime, and I get emails and pictures every Monday. He left a boy and I am confident will return an amazing man. One of the other struggles with sending out a missionary is worrying about them. My life experiences have also helped give me perspective with this as well. I have so many worries with my special needs kids that having a son on a mission isn’t my biggest worry. It says a lot that it has been a harder adjustment to deal with Jordy going to middle school, than for Jax to be in Ukraine. I have faith that Jax will be protected and watched over. I am very proud of him and wouldn’t want him anywhere else. That doesn’t mean I don’t miss him and can’t wait for that hug at the airport. I have felt our family have a tremendous amount of blessings from Jax serving as well. There is a feeling of peace that is different than it has ever been before. Jax serving isn’t a trial in my life. It is a tremendous blessing. My life has been hard, but also comes with the perks of perspective. I have great loss perspective and great kid stress perspective as well. I am grateful to have this insight. I have too many things in my life that are very stressful. I can’t waste negative energy on positive things in my life. 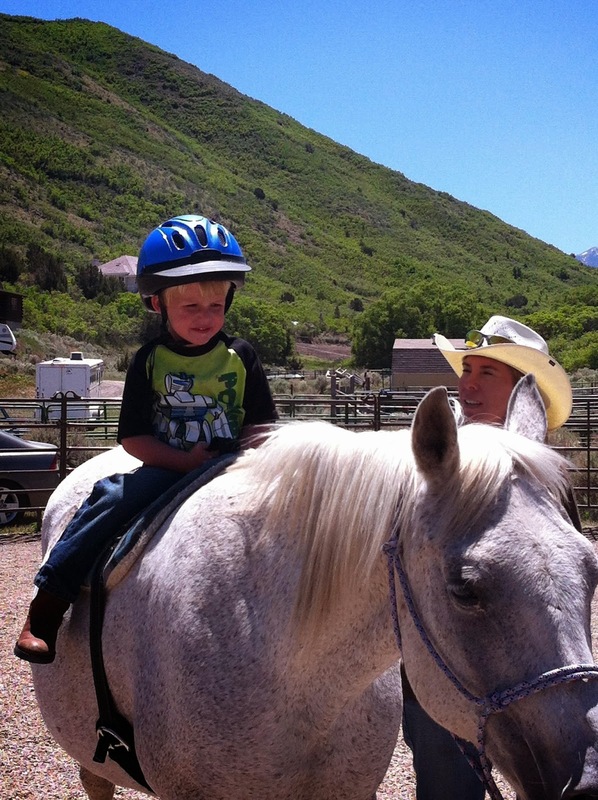 I have found that I really love being a missionary mom! The last two years have been so fun for me as I have traveled around speaking to many different groups. I have spoken for church groups of all varieties. I have been a presenter at many different women’s conferences, and conferences focused on healing the trials in our lives. A couple of times I spoke to troubled teens in a rehab group as well as a women’s rehab center. Every time I share my story I am lifted. I love hearing other’s stories and how they can learn from the lessons I have been taught. This last year I have been working on my book. I am really excited to be able to have my entire story down for posterity, and anyone else interested in reading it. It has been something I have wanted to do for a long time, and the timing finally feels right. I continue to strive for becoming better everyday of my life. There are days that I choose bitter and struggle with the weight of my load, but I make sure I never choose bitter 2 days in a row. I have struggled with mild depression on and off for years especially during the winter and around the time of Jake’s death. I have found many coping techniques that keep it manageable. I make sure to take care of myself as well as everyone around me. Curtis and I make sure to have alone time often which also really fills me up and gives me renewed energy for life. I have come to accept and appreciate the trials in my life. I am grateful for all that I have learned. It is overwhelming sometimes when I look back on everything that has happened and take it all in at once. The fact is that I just take it one day at a time and find happiness in each day. I look for the hand of God in my life continually and thank Him for all the tiniest details. I love seeing the miracles and blessings he has given me along the way. It is proof of his deep love for me as His daughter. Click here to read the start of my story. Last night on Grey's Anatomy there was a comment made about 22q11.2 Deletion Syndrome. That is the syndrome that my Cam has. Unfortunately the comment was unkind and not accurate! Two doctors going over a patient's charts. First doctor says "The Mom's been pregnant 3 times, the first two were stillborn." Second doctor replies "Well, this one will be too. 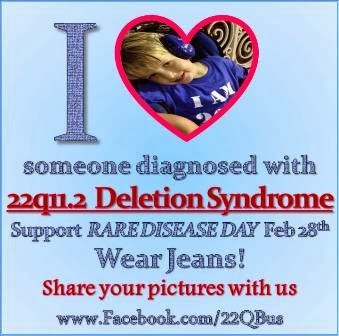 22q11 deletion ...She should just adopt!" I want any parent that just found out their child has 22q11.2 DS to see this post and find hope. Do some children die from complications from the syndrome? Yes. Is the syndrome hopeless or a death sentence? NO!! I was told Cam may never speak...you can have full conversations with him. He tells jokes, knows his letters and sounds, sings songs, and even talks naughty sometimes. His speech is a little delayed and he is in speech therapy a few times a week...but guess what...so is my son with autism that doesn't have the syndrome. Cam loves to cuddle and snuggle with me. He is more loving and kinder than any other child I know. His heart melts me and I could not live with out him! Cam is braver than any of my other kids were. He tries everything his older siblings do and doesn't let his syndrome get in the way of anything. He is more resilient than any kid I know and has learned to be tough because of all that he has been through. He is sweet and compassionate to everyone he meets. He works hard at everything he does. He has an amazing spirit and I truly feel blessed to be his mother. He fills up my soul and makes me happier than I ever thought possible. I adore everything about him. There are no guarantees in life...my life is proof of that! My first husband Jake was a healthy hard working man and died at the age of 29. I have 6 children and 3 of them have significant needs that make life harder sometimes. We never know what is just around the corner. 22q11.2 DS is not hopeless. Will somethings be hard? Yes! Will you celebrate the little things even more? Absolutely! Will you grow into a better person raising a special needs child? I have! Will you appreciate everyday with your little one? I do! Will you get stressed? For sure! Will you spend more time in a hospital than other parents? Maybe. Will you find more love in your heart than you knew was even possible? I did. 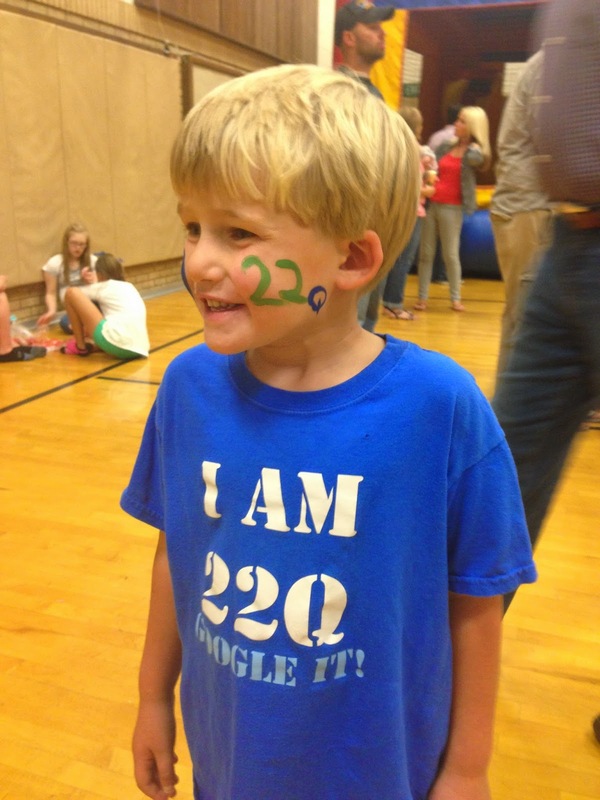 My life is infinitely better because of my son with 22q11.2 Deletion Syndrome! This is the face of 22q11.2 Deletion Syndrome! To read my original story click here. Follow me on my Facebook page. Sometimes it feels like I have been living the last 11 years for a lifetime and at the same time it amazes me at how fast it really has gone. Jake was killed in an accident working in a coal mine 11 years ago. I had 3 small boys and a new pregnancy. When he died I didn't know if I would survive the night. I didn't think it was possible to go on living with out him. The pain of grief is truly indescribable. It is a real, physical pain that makes it near impossible to even breathe. Trying to go on living a normal life while in the depths of grief is like trying to run a marathon in waist high mud. Everything is hard, heavy and at times unbearable. I look back at the last 11 years and am truly amazed that we are still enduring this trial...but even more amazing we have learned to actually enjoy life, not just endure it. I am often asked how we have managed to endure this trial and enjoy life. There are many reasons and factors to this but one I haven't talked a lot about is habits. When I was younger I developed the habits of "the Sunday school answers". You know the ones...read your scriptures, say your prayers, go to church, share your testimony, have faith, and rely on the atonement. Go to any Sunday school class and you will hear those answers to many of the questions. They are even said at times with a slight attitude of annoyance. Well, I'm here to tell you...that the reason they are the answer to every question...is because they are truly the answer to all of your problems. My life is a testimony of everyone of those answers. I believe a huge part of why I have been able to survive and learn from this trial is because of the habits I formed in my youth. -When Jake died I already had a relationship with my Heavenly Father. It was hard at first to go to church but I did it because I knew it was the right thing to do...and because I had already formed that habit. 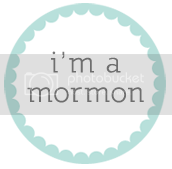 -I was already half way through reading the Book of Mormon again so I continued to read every night...because it was the right thing to do, and because I was already in the habit of reading. Reading my scripture brought answers to prayers at a time that I was filled with questions and doubts. -Before Jake died I was in the habit of saying my prayers every night. This is the one habit that did change. I couldn't just pray at night anymore. To this day I walk around with a prayer in my heart continually. I couldn't count how many prayers I have in a day. I needed strength for every second I endured in those first days, months and even years. Now 11 years later I don't need to pray for strength to get through every second, but I do pray for guidance, help, love, and gratitude throughout the day. -I knew sharing my testimony was important before Jake died and I shared it often. The importance of being able to share my testimony after he died has been even more important. It's mentioned in every blessing I'm given and I know it is part of my Heavenly Father's will for me. -My definition and testimony of faith is the same in some aspects and also very different. I thought if I had faith and did what was right I would be protected and "blessed". Nothing bad would ever happen to me if I had faith in Christ. Now I KNOW that if I have faith in my Heavenly Father and Jesus Christ and rely on them they will carry me through anything bad that happens to me and I will be blessed. I know that if I submit to His will I will be blessed beyond measure and have a life filled with joy. -Before Jake died I had used the atonement in my life mainly for a remission of my sins. After Jake died I learned the true depth of the atonement. The need to rely on the atonement for my pain and sorrow was crucial to my survival. To this day when I am having a hard time I remind myself that the atonement isn't a one time thing. It needs to be used and relied on everyday of our lives. I have also gained a testimony of miracles. It is one of my favorite things about my life. I have endured many trials throughout the last 11 years, but weaved in and out of every trial is small and large miracles. I know that every trial I am asked to submit to in this life will be filled with miracles beyond measure. That knowledge and the faith that Heavenly Father will see me through every thing I go through is the only way I don't fear the future. If you are facing trials and challenges that are seemingly too hard to bear I challenge you to try out the Sunday school answers. I can testify to you that you will be blessed, you will survive, you will become stronger, and you will even learn to enjoy while you endure. Anniversaries of Jake's death are always a tender day. I miss him so much. I love him and I'm so thankful that our relationship has continued to grow through the veil over these years. The boys and I still think of him daily and grieve him. All of our family does. I am beyond grateful to be married to Curtis. He is a perfect example of mourning with those that mourn. I consider this one of my biggest blessings. He is loving, understanding, and accepting of Jake in our lives. I love him and am so grateful for the beautiful life we have together. I am blessed beyond measure. Click here to read my original story. Last year at this time I said a prayer. I had been having intense feelings that I needed to share my story with people, but I didn't really know how. I had tried several different things, but nothing much ever materialized. I prayed about these strong feelings for several years and I was out of ideas so I changed my prayer. I asked Heavenly Father to show me the next step or to take the intense feelings and desire to share my story away. I thought: Please let me feel peace that I've done all he wanted me to do. Three days later I was talking with a widow on a closed Facebook group. She had been struggling and so I copied the link to my blog and hoped it would help her see that there is a way to happiness. The next day I got a sweet email from a widow who had read my blog post. She was a recently widowed and also pregnant. She expressed how great it was to read my story and realize she wasn't the only pregnant widow. I felt great that it could help her. I thought, "hmmm, I guess that is why I had the feeling to share my blog yesterday, so this sweet girl could find some peace." Later that day Curtis started receiving a couple odd text messages from some out of state friends. They asked if he knew that my blog was all over the internet. He called me and told me to check the blogs messages. I told him that was pointless because it didn't have any messages at all. After explaining the text he had received I went home and opened up my blog...it took 15 minutes to even remember how to log in! When I finally opened it I was shocked and confused to see over 30 messages. When I opened the stats it said 55,000 views!!! I had maybe 100 views before that and I'm sure they were mostly me;). When I clicked the refresh button just a few seconds later it jumped over 500 more views and it continued to grow. In just a couple days the blog was well over 500,000 views. I had thousands of messages come in from all over the world. Messages of love, sympathy, hope, and thanks. It was overwhelming and humbling. This experience has been in many ways life changing. I never set out to be a blogger. 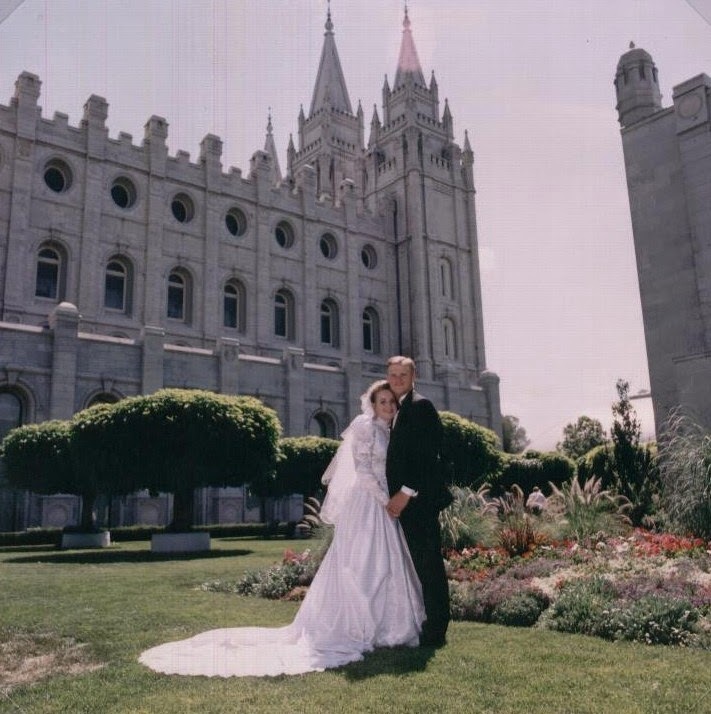 I just knew that I needed to share my story of trials and triumphs and show the world that through the atonement and with the love of our Heavenly Father we can find true happiness. I have since spoken to numerous groups around the state of Utah and even traveled to Washington. I have been able to feel like I am doing what the Lord wants me to do. It has truly been a blessing to my life and also to my family's life. I am so grateful for the outpouring of love and acceptance I feel through the blog and also through speaking. It is awesome to see something good come from all the trials I have gone through! The blog went viral just 10 days before the 10th anniversary of Jake's death. As I approached that milestone I had thought about how tough the last 10 years had been. I decided that I was ready for a new decade. 10 years that would bring more peace and joy into my life. A decade full of service and doing the Lord's will in my life. This last year has been a great start to that decade! I have two sons with special needs. Jordy is 12 and has autism, anxiety, and OCD as well as severe Sensory Processing Disorder. Cam is 6 years old and has 22q11.2 Deletion Syndrome, PVNH, EDS, and several medical problems related to all 3 of those diagnosis'. One of the biggest issues parents of special needs children deal with is sleeping. A lot of kids continue to keep their parents up all night the same as an infant does for years. I am fortunate in that my kids don't usually keep me up all night, but we have our own set of problems. This summer we had an experience with Cam that made me realize how dangerous sleep can be. A lot of kids with special needs have sensory issues. When they struggle with several it is diagnosed as Sensory Processing Disorder. Basically all the things that affect our senses is processed differently for them. Some are seekers, and some are avoiders. Jordy has mostly seeking tendencies, but also has a few avoiding issues as well. He craves intense foods and flavors because of the lack of input he receives through his mouth. He will often chew on things when he is anxious. His favorite food is onions...and has been since he was about 1 year old. He has been known to add onions to Lucky Charms cereal! It was one of his first signs that something was a little different than the average kid. Cam is more of an avoider. Loud noises and sounds really bother him and he will cry until the sounds are gone. Going to sporting events, plays, amusement parks or even movies are literally painful for him. I was able to buy some headphones for him so he is able to enjoy life. It has made a HUGE difference. I remember the first time he used ear plugs. I started to avoid taking Cam to places I knew would be too loud for him. It had been about a year since I had taken him somewhere that was loud so I kind of forgot what a problem it is. We went to a BYU football game and as soon as we got there I regretted it. He was SO excited to go, but the stadium was so overwhelming. The roar of the crowd and the unexpected canons going off put him over the edge. He buried his head in my lap covering his ears and cried. I felt awful. How could I forget that he wouldn't be able to tolerate the sound?! It was all I could do to not start crying with him. I convinced him to go into the bathroom with me so we could regroup for a minute. I spent some time calming him down and telling him how sorry I was that I forgot it would be too loud for him. I told him that we could walk around to all the stores in the stadium and look for some earplugs. As I was having this conversation a nice lady was listening in. She offered me a pack of earplugs she kept in her purse. She saved the day for me and for Cam. We got them put in and headed out to find our seats. When we got out there and the crowd started going crazy Cam looked over at me and got the biggest smile on his face. He said, "It doesn't hurt!". He stood up the rest of the game cheering, singing, and laughing the entire time. It was adorable. The first thing I did the next day was buy some headphones. His life is so much more fun! The list of both of the boys sensory issues is long! It could (and should) fill a separate blogpost! Sensory issues can impact a person's life more than any of us realize until we are the ones dealing with it. The book, The Out-of-Sync Child is really great for figuring out whether or not your child is dealing with sensory issues. It was a game changer for us and was what really helped us get on the right path for getting Jordy diagnosed with Autism. As a parent that deals with sensory kids you start to look for anything you can that will help you child function in a world that is too overwhelming. When Jordy was chewing everything to pieces in school I offered to send bubble gum with him. I wondered how the teacher would react, because bubble gum is against the rules. "YES! Send bubble gum!" was her reply. When Jordy had the urge to chew on things he chewed gum instead. It worked! A simple solution to a huge problem. Sensory issues can often cause problems for sleeping as well. Cam and Jordy both tend to cover their entire bodies when they sleep including their heads. I will often go and uncover both of them during the night, but they will immediately cover their heads again. I haven't worried too much about it assuming they are both filling some sensory need that they have. This summer however my perspective changed. I was volunteering at a youth group camp for our church. My mom had agreed to keep my kids for me while I was gone. The kids are always excited about having a sleepover at Grandma's house. Jordy was on the couch and Jacob and Cam were sleeping on the floor with some big blankets that Grandma laid out for them. In the middle of the night my mom woke up to a strange noise. She described it as one of the scariest things she had ever heard. She wasn't sure if it was an animal outside, she couldn't imagine what could be making such an awful noise. She went to check on the kids just in case. What she found was even scarier than the noise. Cam had wrapped himself tightly in the big blankets. He had actually mummified himself. He was not getting any oxygen and the sound she was hearing was his body retching for air. The scariest thing...it didn't wake him up. He is a deep sleeper and suffers from sleep apnea. The lack of oxygen didn't wake him up, but did cause his body to react as he tried to breathe. My mom rushed to untangle him from the blankets that were wrapped so tightly around his face and body. Cam never woke up through the entire ordeal. When I called my mom the next day to thank her for watching the kids she told me the story. It was so scary to think about what might have happened if my mom hadn't heard him. I was just sick to my stomach trying to come up with ideas that would literally save Cam's life during the night. I immediately began to research blankets for special needs kids. There was not a lot of options or help. I came up with the idea of crocheting a blanket with a giant hook and a double crochet knot so there would be big holes in it for him to breathe through. 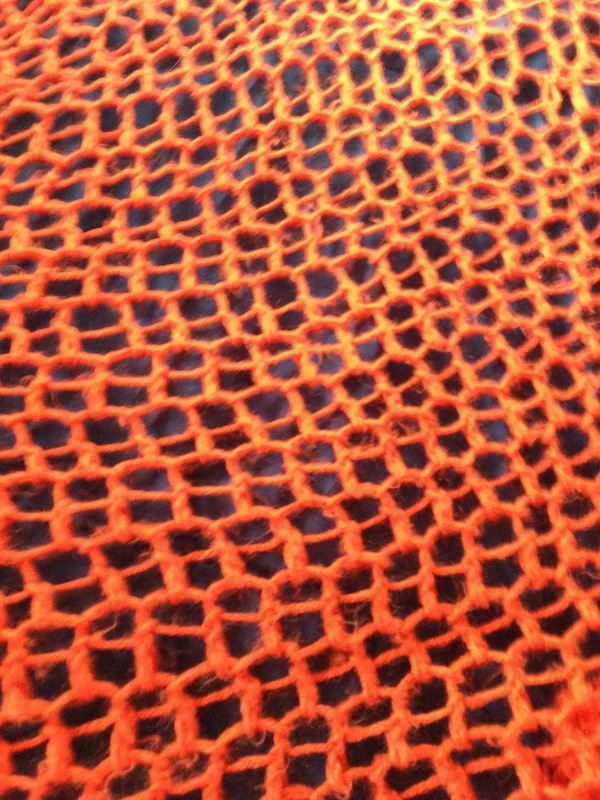 We headed to the fabric store to pick out a soft yarn that was a color he liked (orange...I hate orange) and I began making the blanket. I sat next to the pool in 100 degree weather crocheting my life saving "blankie". It worked as far as covering his head and allowing him to still breathe. There was a small problem though. 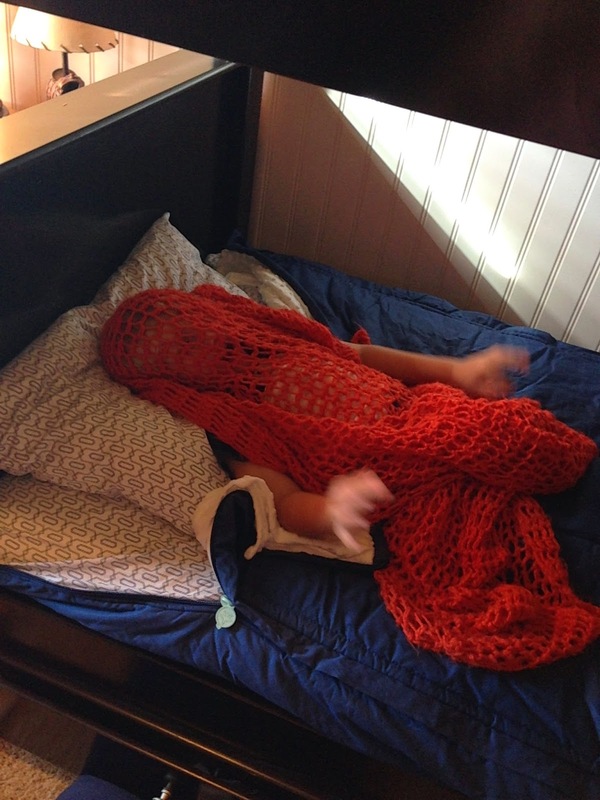 Cam didn't stay warm under it and he started going around the house finding other blankets to cover up with at night. A few months before Cam had his sleeping scare I had been looking for really cute bedding for my 3 year old little girls room. I came across a new company called Beddy's that was doing a kick starter campaign for their new zipper bedding designed for kids to be able to make their "bed with ease"--Beddy's. It was an idea stemming from a mom not being able to make her kids bunk beds (we have this issue as well, it's just at the bottom of my issue list;). I had ordered one of the comforters for my daughters bed because it was darling and just what I was looking for. I had to wait awhile for the order to come in though since it was a kick starter campaign. As I was trying to figure out what to do for Cam I remembered the zipper bedding. I looked through the options and figured it was worth a shot. Bedding that he would not be able to wrap around him because it is literally zipped to the sheets...it was the best option I had seen. The bedding was not made for kids with special needs. It is a great idea, really functional, and super cute. That was what the company was aiming for. What they ended up with though for me and my family is a product that offers me a good nights rest knowing that Cam is SAFE and WARM in his bed sleeping. We have had the bedding for almost 2 weeks now and it is a huge hit! I also got one for Jordy hoping that it would also help his sensory sleep issues. I have a weighted blanket for Jordy, but it doesn't cover his entire body so his feet are usually left uncovered and cold. They both LOVE their new Beddy's. They also can both make their own beds now, which is awesome and has helped build up their self-esteem. We have already had one bed wetting experience and also Cam woke up with blood coming out of his ear one morning and they have washed great and the stains came out easily! They are super soft and comfy and my other kids were asking for their own Beddy's the next day. I'm not sure how many other families with sensory kids would benefit from this bedding...but it has really helped us! My son and the son of this mom inventor (Betsy) had played ball for a couple weeks together and we had become Facebook friends. This is how I found the kick starter campaign in the first place. I gave her a call to tell her how amazing it has been for us and she said she had many other customers with special needs kids emailing her with similar stories. I have never endorsed a product through my blog, and I have not received any money from the owner's of Beddy's. I just know that a few months ago I was stressing to the max imagining Cam suffocating in his sleep, and I looked for personal experiences through the internet to help me. My hope is that if anyone is struggling with the same issues I was, they will see this and be able to rest a little easier! I asked Betsy if she would mind if I talked about how awesome Beddy's is in a blogpost. Her response was awesome and truly shows her character. She has offered a special discount code to use at check out for all my readers! It is a savings of $30 off the purchase price and they are donating $5 to the Dempster Family Fund which funds research for 22q11.2 DS every time the code is used! I think this is awesome and I'm so grateful that she is offering it! The code will be good for orders through the end of November 2014. Use code Beddysfor22q at checkout. Check out how soft that inside layer is! The perfect combination for our different sensory needs!! Jordy uses his weighted sensory blanket over his Beddy's now! This bedding is just darling! Thanks Betsy, Angie and Beddy's for making my nights and mornings a lot better! Read my original story here. 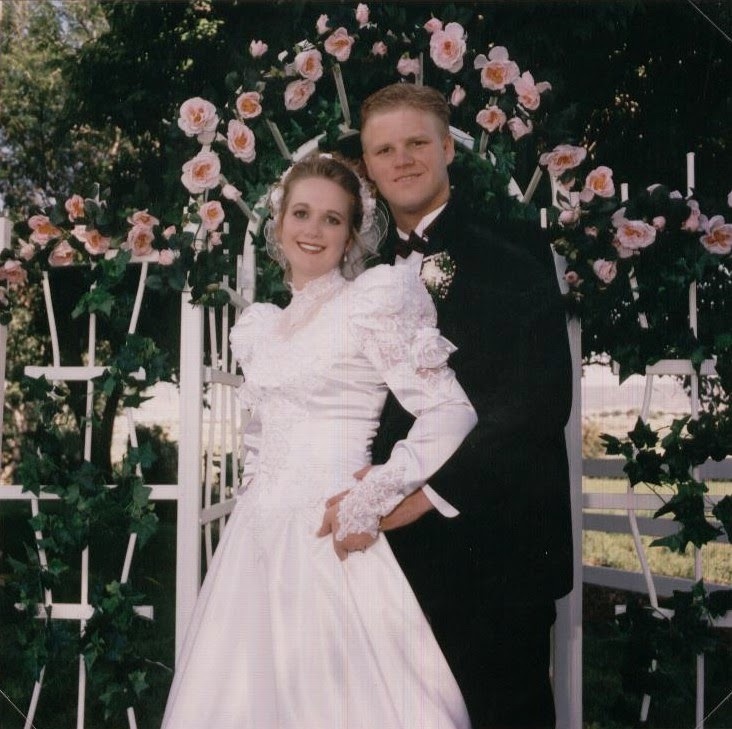 18 years ago I married the man of my dreams. I was 18 years old and living the life I had planned on since I was a little girl. Jake and I were so in love. 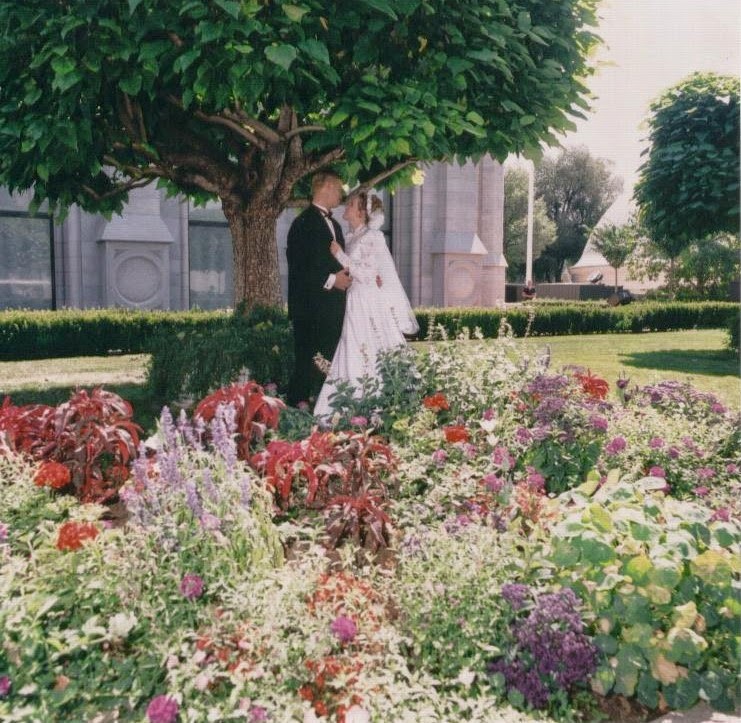 We were married and sealed for time and all eternity in the Salt Lake LDS Temple. 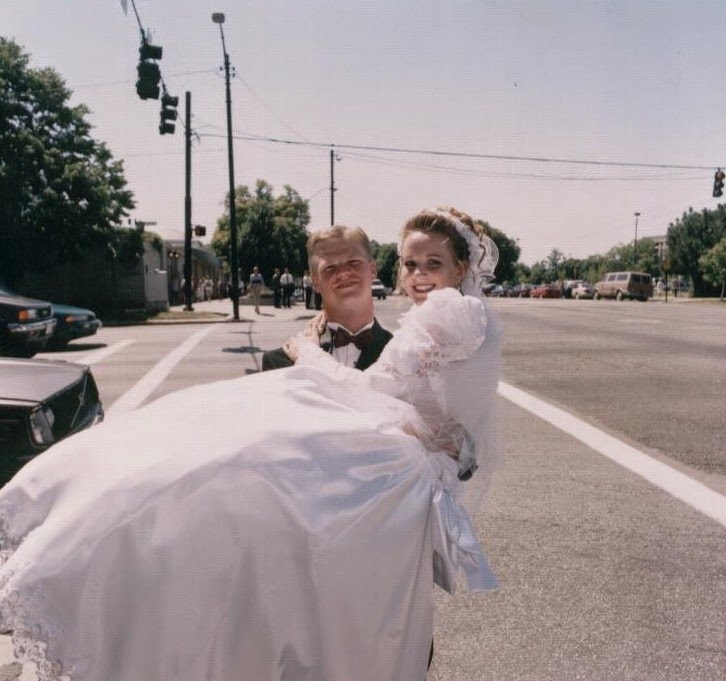 It never occurred to me that I was too young to get married and start a family. It felt natural and right. I wanted to spend my entire life with Jake and wanted it to start as soon as possible. After just 4 months of marriage I found out that we were expecting our first baby. I was only 19 when Jax was born...almost 20. Jake often teased me that I added to the teen pregnancy statistics for Utah. We started our family quickly and added to it in the same manner. I never thought twice about it. We prayed continually about following God's will in our lives and tried hard to do what was right. We loved our kids and wanted a big family. 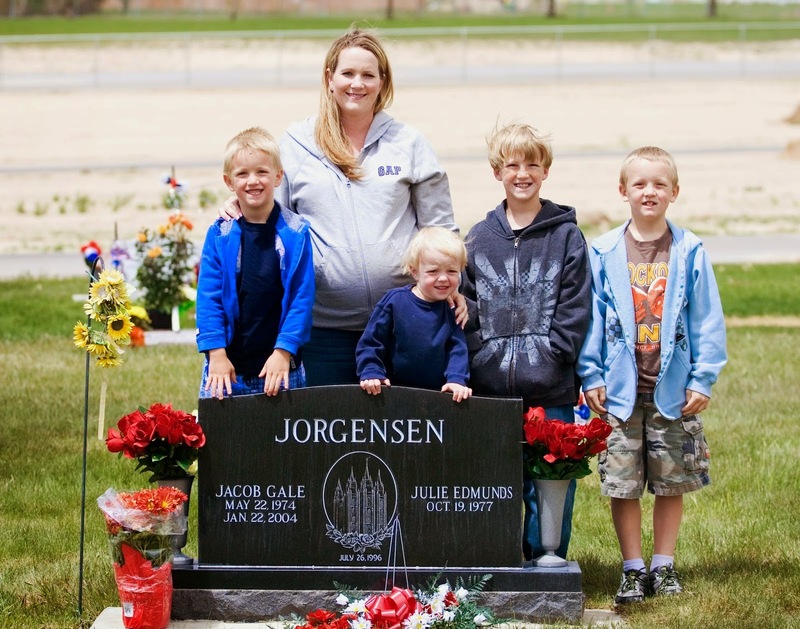 When Jake died after 7 1/2 years of marriage, and 2 weeks after the conception of our 4th baby it was clear. We never felt like we were in a rush, but we were. We had a lot of life to live in a very short time. We had 8 years and 3 days from our first date to our last day on earth. 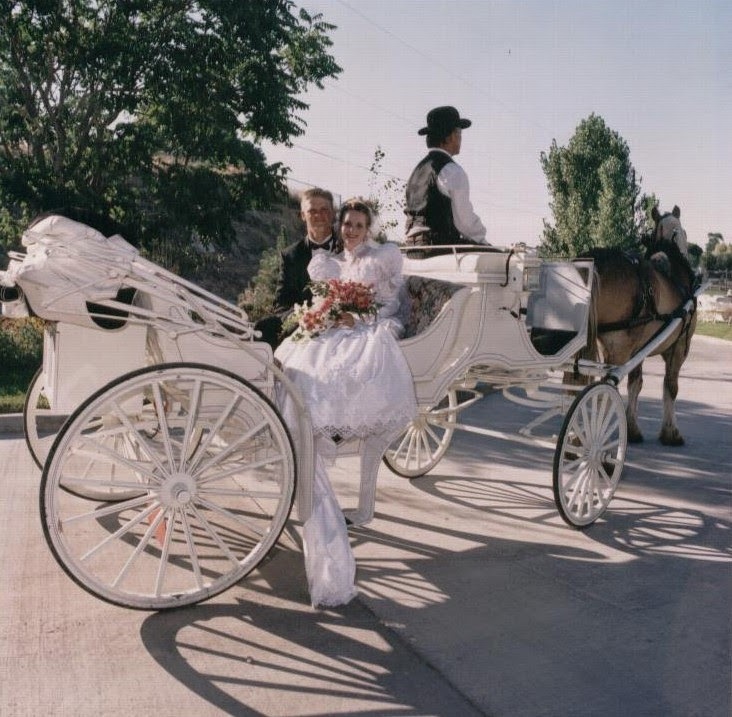 We needed to establish a loving marriage, and a stable foundation for our family. We also needed to bring 4 souls into this world. I know with all my heart that Jacob Jr. was the last thing Jake needed to accomplish in this life. When that was done, so was he. His mission on earth was fulfilled and he was called back home to start a new mission. We were left here to pick up the pieces and figure out how to continue living with out the love of our lives. This was not part of my plan...but it was the life we were meant to live. At first thought it breaks my heart that we only celebrated 7 anniversaries together. It makes me sad that our time together was so short. 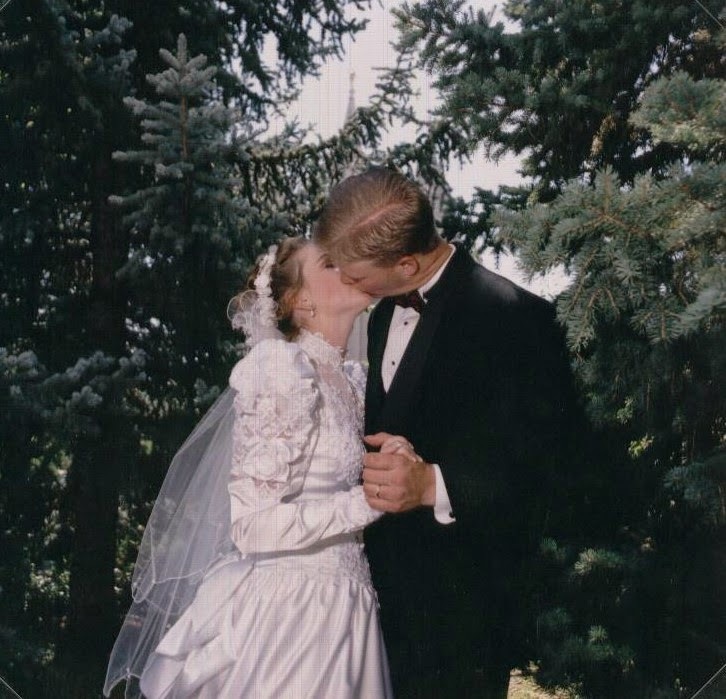 After serious reflection I realize that we have celebrated 18 years together. Our relationship has continued to grow. My love for him has grown as I know his love for me has as well. Jake has been in my heart now for half of my lifetime. He has loved me and filled my soul with his love. I have loved him, cared for him, grieved for him, remembered him, and thanked God for him everyday. Our bodies may have only experienced 8 years together, but our minds, hearts, and souls have known each other for far longer than that. I am so grateful for everyday I had with Jake. 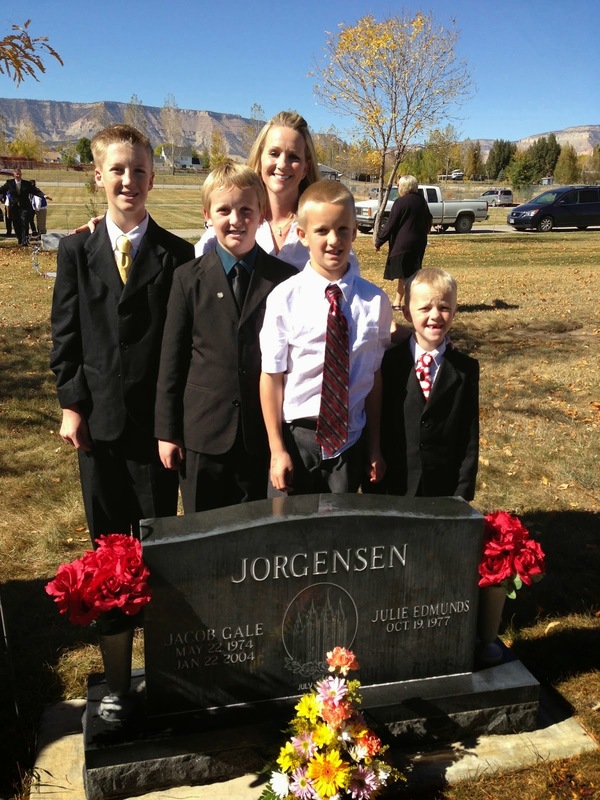 The blessing of eternal life and eternal families is our greatest blessing. I know Jake has watched over us for all these years and will continue to. I am so grateful for that and for the knowledge the gospel of Jesus Christ gives us. Today squeeze your spouse a little tighter and tell them how much you love them. Appreciate the days you have together, because you never know if it might be the last. Happy Anniversary Jake! I will always love you! A few months ago I was contacted by one of my very first girls that I served while in the Young Women's program for our church down in Castle Dale. She has remained one of my favorites over the years. Michelle was always bubbly and happy. She would come over to my house for visits, and would even come by after she moved away to college. Michelle's last visit in Castle Dale was the Sunday before Jake died. When Michelle contacted me she told me about a new project she was starting. I am Beauty Revived. It is a website designed to highlight true beauty in girls and women. Michelle is a photographer and had the brilliant idea of getting photographers to donate a session to worthy women. Michelle would then highlight their stories and photo session on her website. At this point she has over 30 photographers that have joined her and they have selected 50 women from Utah. She hopes this will catch on with other states and many more photographers. If you are a photographer that would like to participate you can find details here! Michelle is an amazing person and I wasn't surprised at all when she told me of her grand plan. I know she will continue to do marvelous things in her life. Michelle was sweet enough to pick me as her Beauty Revived Model. (This will be the only time my name is associated with model!! ;) Doing the photo shoot was fairly awkward for me, but I was really humbled by the opportunity. So far there have been several women already featured. Head over to Beauty Revived to check out all the different women! There are some seriously awe-inspiring stories on there! Also, Michelle's story was picked up by a local news station. 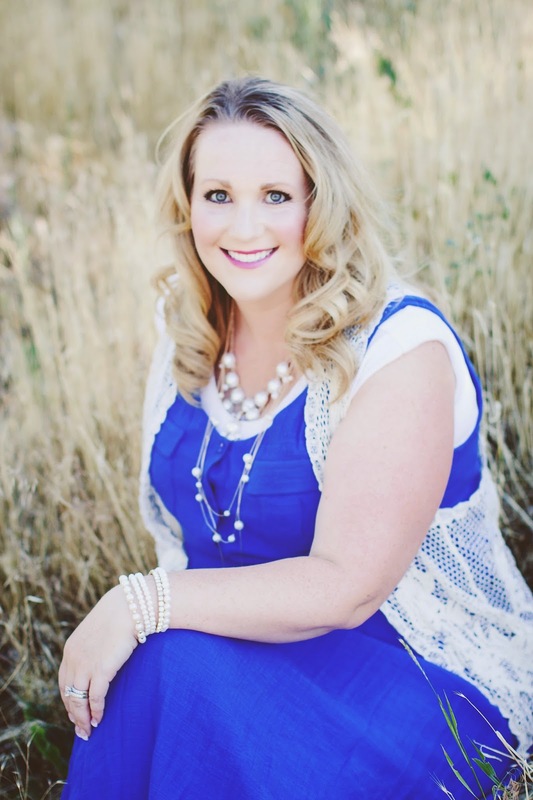 She was on KSL 5 last night at 6:30 and will be doing another spot today at 12:30. Thanks Michelle for being a shining example to the world, by showing how much good there is to find all around us! I am so proud of you for all you are doing, and you will always be one of my girls...no matter how old you are! Go like I am Beauty Revived on Facebook to stay up with all the posts! I enjoy speaking and sharing my experiences and the lessons I've learned on my journey. Over the years I have spoken at conferences on grief, my kids special needs, and for many different youth and women's groups. For more information about speaking contact me at jjtoone@gmail.com. 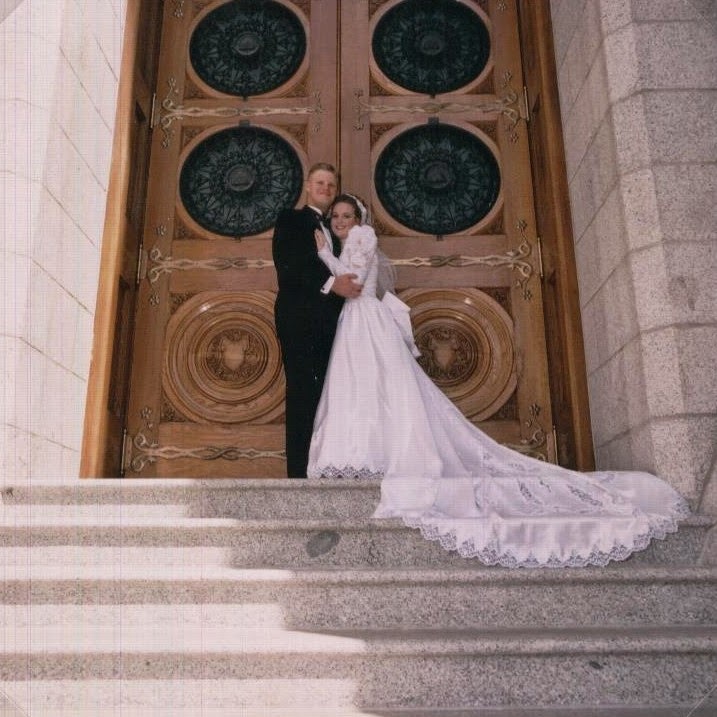 The Sealing Issue...why marrying a widow is a matter of faith for me. How do I relieve Stress?! 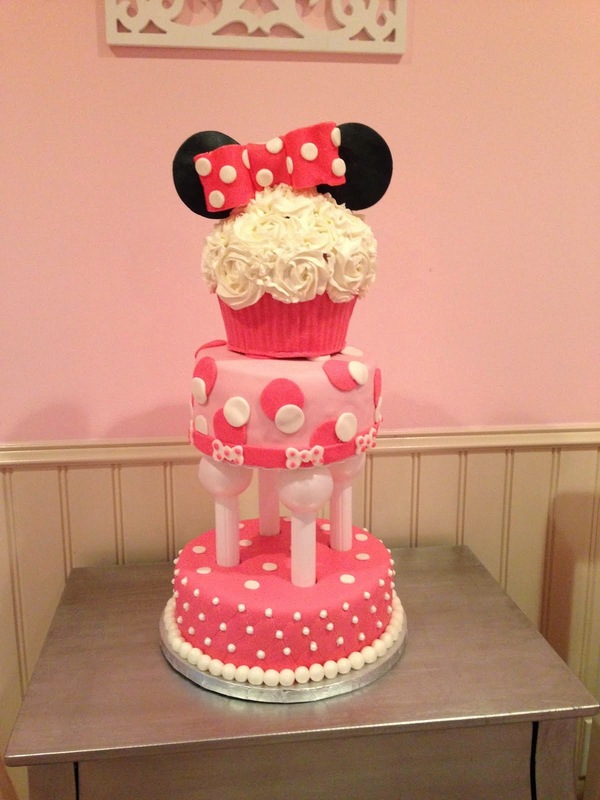 Check out my cake blog to see more! 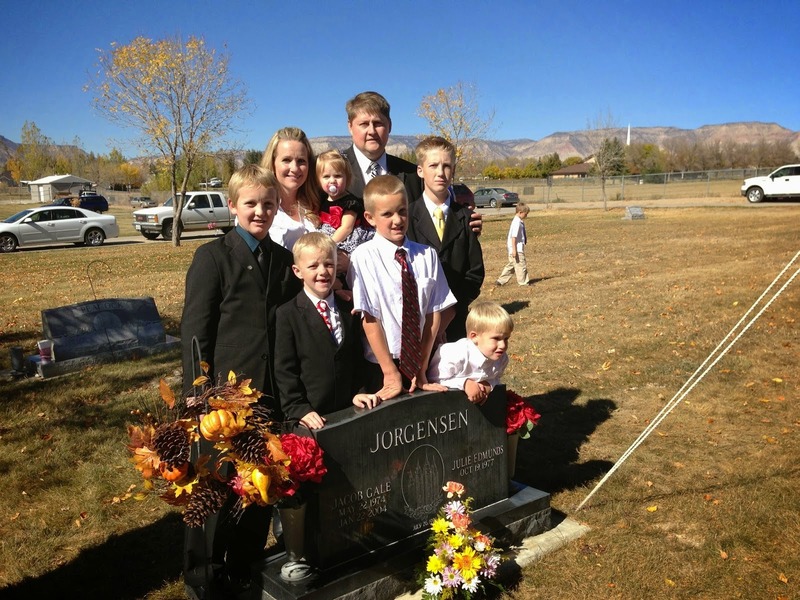 LDS Widow/Widower Conference in Centerville, Ut. Stake Relief Society Women's Conference in Lacey, Washington. Bluffdale 3rd Ward Relief Society Night. Young Women's in Excellence Night in South Jordan, Ut. Young Women's in Excellence Night in Castle Dale, UT. Relief Society Birthday Party in Payson, UT. 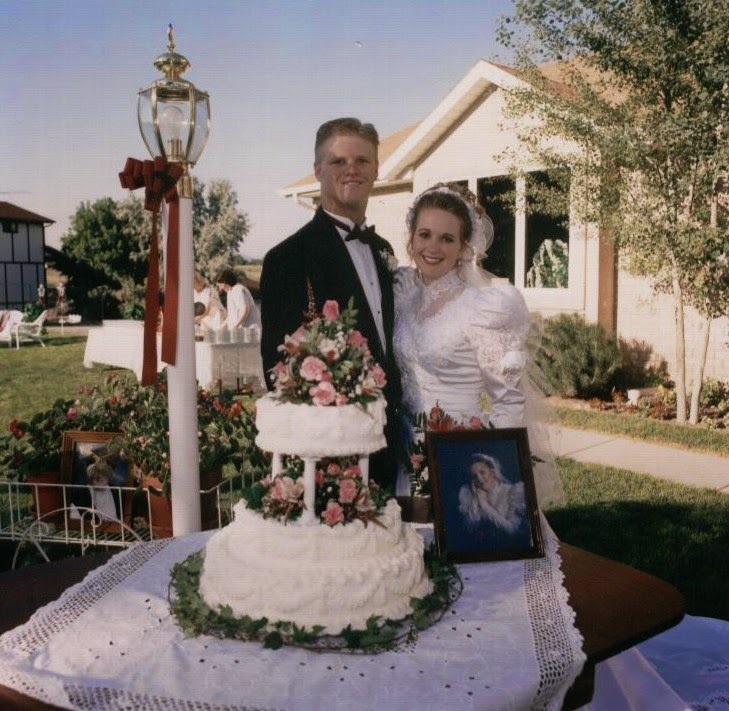 Relief Society Birthday Party in Riverton, UT. Relief Society Birthday Party in Oakley, UT. My name is Julie and I love my crazy, tragic, wonderful life. I try to choose better everyday! God gave this child for you to guide, To love, to walk through life beside; A little child so full of charms to fill a pair of loving arms. God picked you out because he knew how safe his child would be with you!" Cam has been diagnosed with 22q11.2 deletion syndrome and Periventricular Nodular Heterotopia (PVNH). His struggles started early on with not being able to nurse or smile. It has taken 3 1/2 years to get these diagnoses. He has his ups and downs with the problems that arise. He is a fighter and the sweetest little boy I know. First night in his big boy bed!